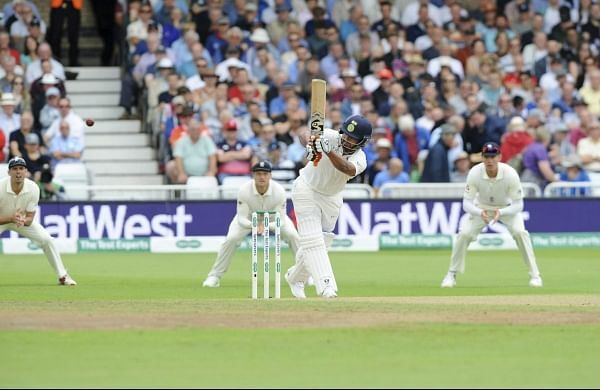 New Indian Express – NOTTINGHAM: Young wicket-keeper batsman Rishabh Pant has credited India ‘A’ stint in England this summer for his impressive showing on Test debut, saying it helped him to cope with the pace and bounce at Trent Bridge. NOTTINGHAM: Young wicket-keeper batsman Rishabh Pant has credited India ‘A’ stint in England this summer for his impressive showing on Test debut, saying it helped him to cope with the pace and bounce at Trent Bridge. The thing is that I have been playing India-A cricket since last two-and-a-half months in England, so it has been helpful for me,” Pant said after India beat England by 203 runs in third Test. “I am practicing in the nets on how to deal with that and it is working now,” added Pant, who played for India A against England Lions and West Indies A before being named in the Test squad. During his debut Test, Pant spilled a few chances, particularly against Jasprit Bumrah, but he said it was owing to the angle that the pacer creates at time of delivery. The standout moment for Pant came when he smacked Adil Rashid for a six off the second ball that he faced in Test cricket.